Made with MagnaForce® Alloy this 22.5 x 9 wheel is built for the heaviest steer applications. 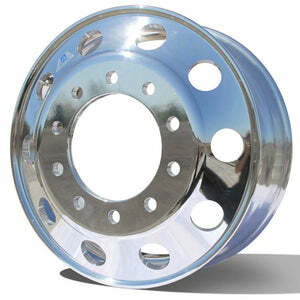 At only 48lbs, this Alcoa® Ultra ONE® rim will lighten the load of your Waste & Refuse Trucks as well as Dump Trucks. Works for newer trucks with 10 on 285mm Hub Pilot Bolt Patterns.